When I first started vegetable gardening I used all my pots to grow vegetables. I have zero interest in ornamental gardening so I saw no point in growing flowers. Over time I've learned that flowers do have a place in an edible garden. Flowers will attract more pollinators to your garden, which can improve vegetable yield, and they attract beneficial insects, which can help combat pest infestations. This year I'll be using my 5 smallest pots to grow flowers. My hope is that these flowers will attract enough beneficial insects to manage the harmful ones that will attack the vegetable plants. 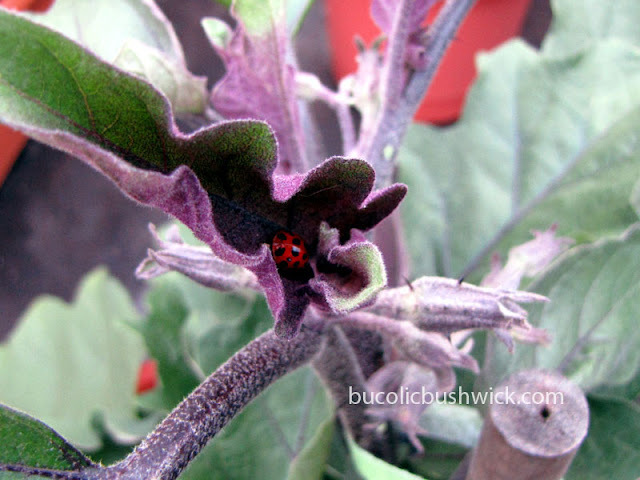 Mother Earth News has an excellent article on attracting beneficial insects. If your garden is teeming with beneficials, these bugs may often thwart budding pest infestations before you’ve even noticed the threat. It’s nature’s way of managing pests — no pesticides required. I think there'll be a lot of insect pests in the garden this year. No deep freeze means lots of bugs survived winter. Whatever flowers you choose to plant it is very important to pay attention to their bloom time. Provide flowers with different bloom times so that the beneficial insects have a continuous food source for the entire growing season. The Internet offers many lists of plants to attract beneficials, but one of my favorites is from Colorado State University. 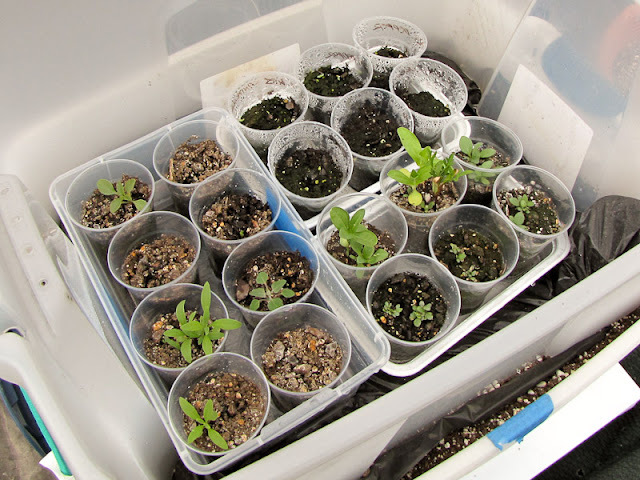 Their article states the bloom time of plants that attract beneficial insects, a critical piece of information when considering what plants to grow. If you don't provide food for adult beneficials, it's likely they won't inhabit the garden and you'll inherit their work. Plant a wide range of plants that bloom throughout the growing season to gain the benefits of natural insect control in your garden. I'll be growing 2 varieties from Colorado State's list, sweet alyssum and fernleaf yarrow, plus some random wildflowers just to mix it up. I do not have enough room on my windowsill for both vegetable and flower seedlings so the flowers are growing in my DIY Self Watering Container + Mini Greenhouse on the roof. If this flower strategy works it means less time spent maintaining the garden! That is a beautiful pictures with the ladybug! Yay for fowers. Good for feeding bees and beneficials. If you do cilantro, you could let it flower or just let one of your other veggies bolt and flower too. Good luck on the roof this year. Having trouble even in the ground with this lack of water. I thought about cilantro, but I don't think it would make it to flowers. I'd probably eat it before the beneficials could! A rained a little bit last night, that should count for something right, right?